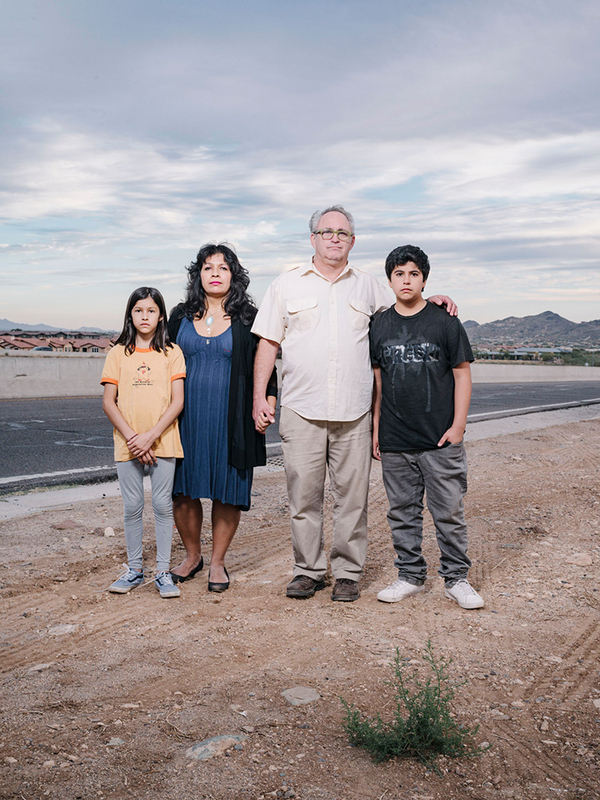 Garrett and Rosie Smith stand for a portrait with their children near the I-17 Exit 229 and Anthem Way where the family was pulled over by police and harrassed by officers. Not only were they harrased, but Rosie, who is Mexican, was questioned by officers seperatly. Shot on November 15, 2017 in Anthem, AZ.